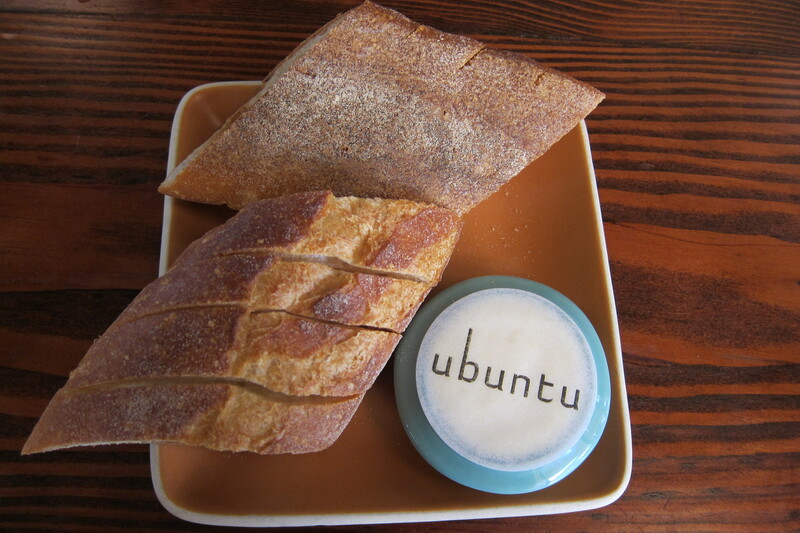 Ubuntu, a philosophy of humans’ interrelations that emphasizes generosity, sharing, and community, originated in the Zulu tribes of Southern Africa. Sandy Lawrence was introduced to this ethic in her work in South Africa and integrated it into the restaurant she founded and owns in the heart of Napa. 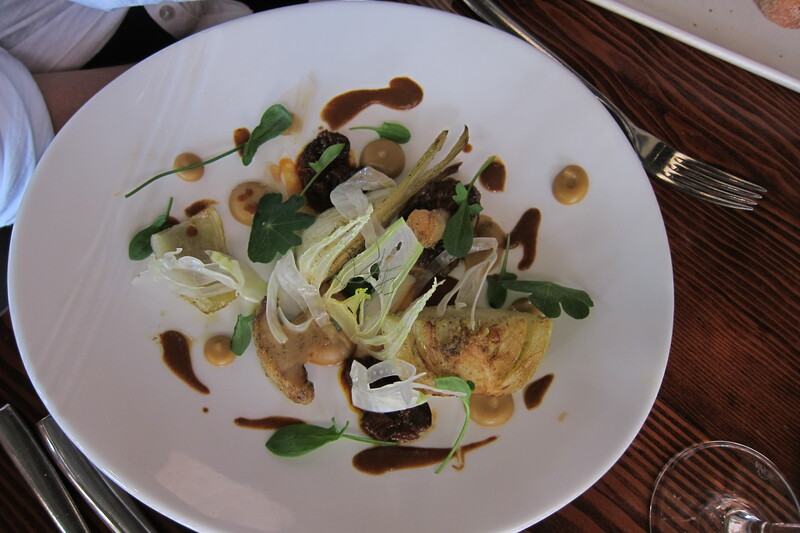 The restaurant strives to bring to its customers dishes cooked with the freshest ingredients biodynamically grown in its garden or sourced from local producers. The interior of the restaurant is decorated with recycled materials and the wines that are served are mostly sustainably and locally grown. In short, Ubuntu epitomizes sustainably grown, seasonal ingredients, minimizing the carbon footprint, and feeling great after a meal. Its location in the heart of Napa Valley, amidst the rolling foothills, lush vineyards and towering cypress groves makes the restaurant that much more magical. If all this weren’t enough, there is a yoga annex that is adjacent to the restaurant, where you can continue to live the philosophy of Ubuntu. Namaste. 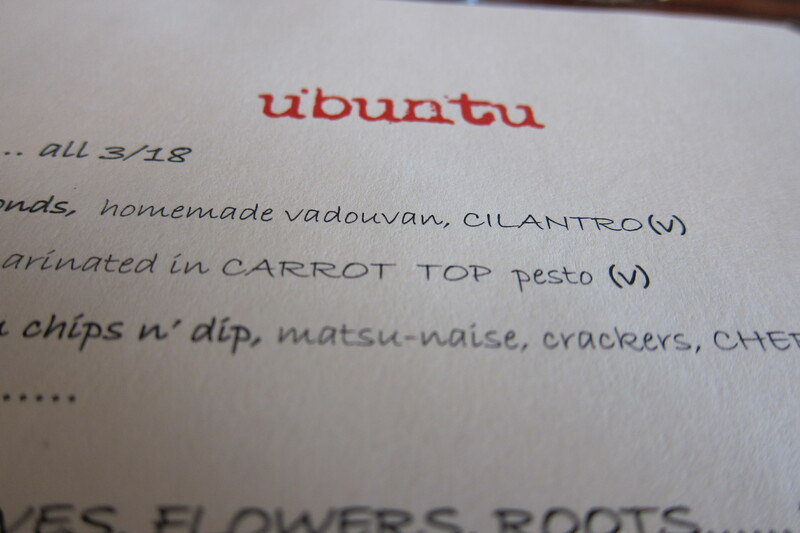 I went to Ubuntu for lunch with three friends. Although I wanted to try everything on the menu as well as do a yoga class, we could only sample a few dishes and did not have time for yoga because we had to continue our wine tasting adventure. 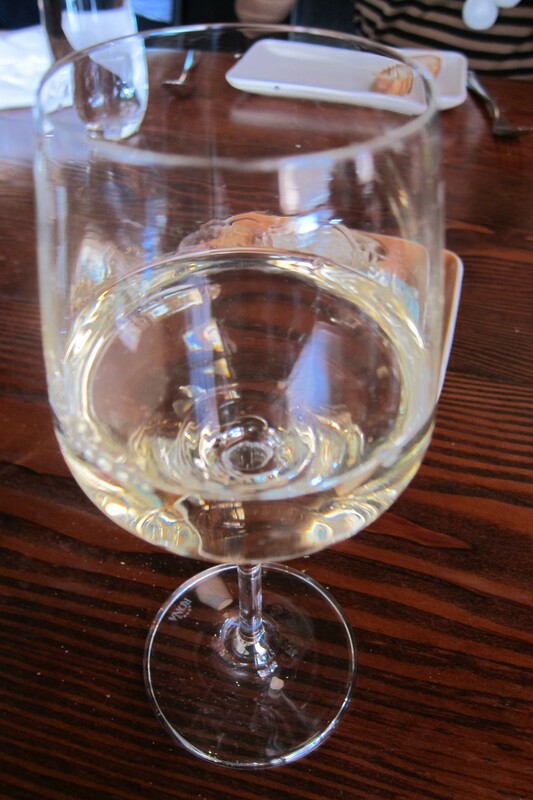 Oh darn, looks like I’ll have to come back.And beverage-wise, I had just a glass of sauvignon blanc (pictured above), because I was saving room for the next winery. I must admit that although I am a devout carnivore, I was very satiated by the meal and probably overate a bit. Most reviews of Ubuntu suggested ordering several dishes because the menu is vegetable based, and thus lighter than a typical meat/seafood based entree. I would say that sure, one course is not enough to calm a rapacious appetite, but a snack and maybe splitting three courses between two people would be optimal. Anything in all caps below denotes an ingredient grown in Ubuntu’s garden. And the chefs are happy to make most dishes vegan friendly, which one of my friends requested for the fennel confit below. I adore mushrooms and this take on chips and dip was exquisite. 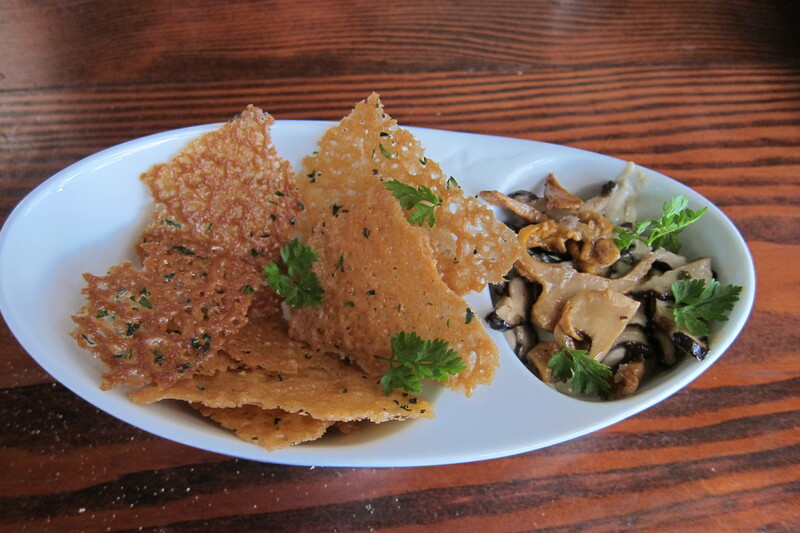 The chips were crispy and complemented the smooth texture of the mushroom dip, while the chewiness of the mushroom slices added another dimension to the texture. 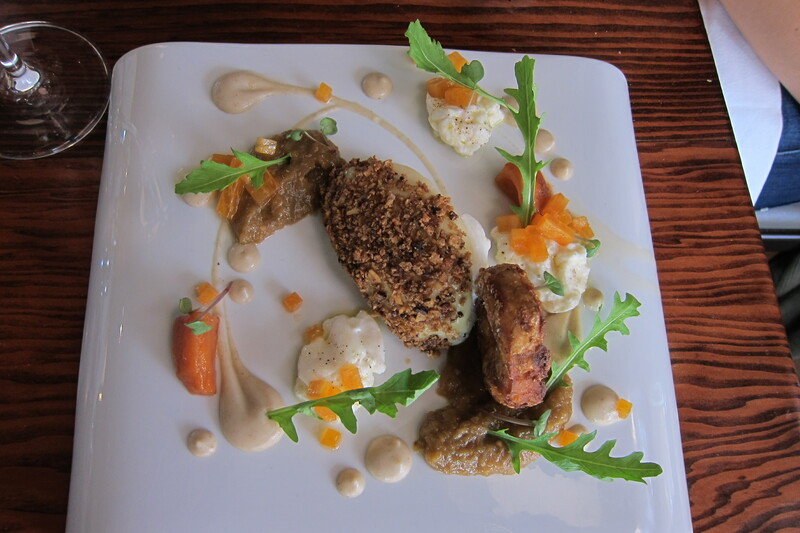 There was a lot going on in this dish, so I was not sure how to approach it. But I love quail eggs and the purple color of the potatoes was gorgeous. 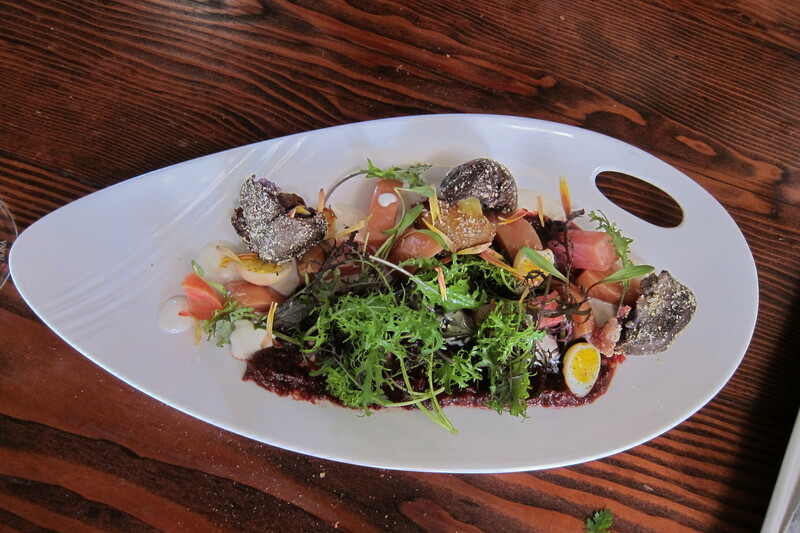 This is an interesting take on a beet salad. This dish was also a bit intimidating to approach, but it was ridiculously tasty. We basically compromised the plating and aesthetic and jumbled everything together. I didn’t know what I was eating, but I wanted more and more. My friend ordered this dish as her main, so I only tasted it. It was delicious and I think a creative way to serve fennel. 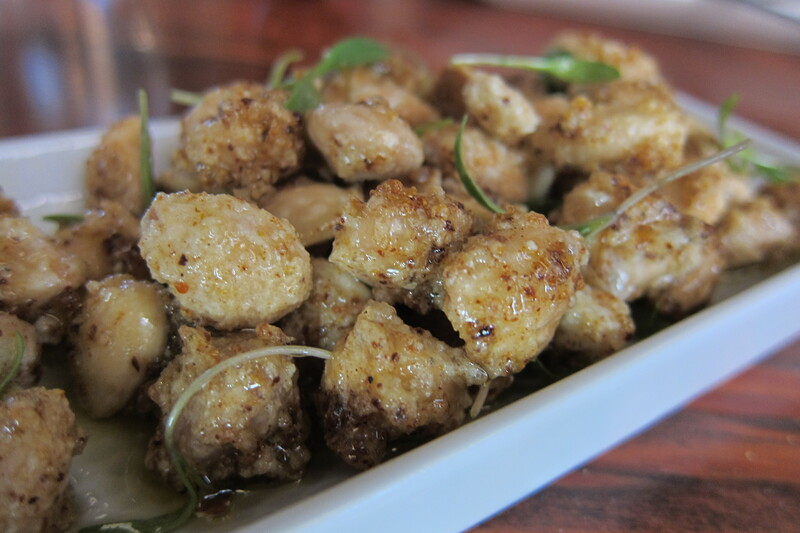 This was another instance of “jumble together” to create this explosion of flavors in the mouth that rocked the palate. I haven’t had a Southern version of grits before, and I don’t think I want to because it will be impossible to top this. 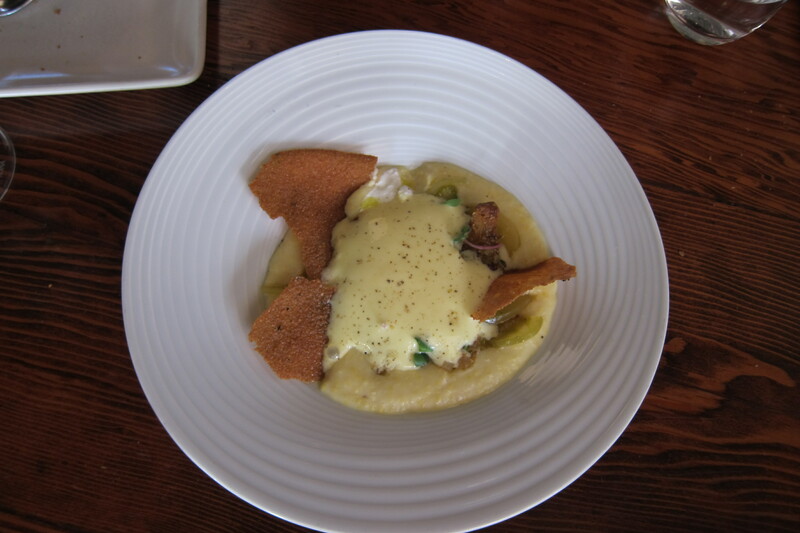 I mean it’s grits with ricotta, a whipped egg, and chanterelles. What can possibly top that combination. 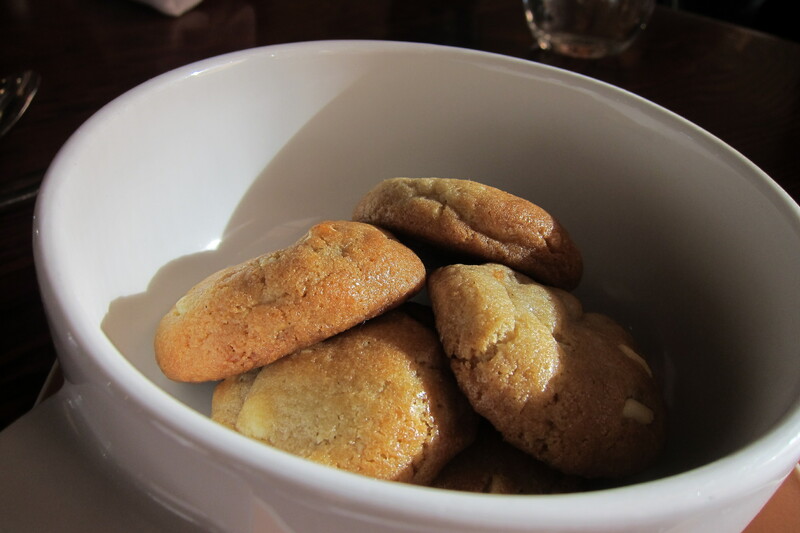 I am admittedly a lover of cookies, and don’t always discriminate based on quality if I need my cookie fix. But these were amazing. The white chocolate added this milky smoothness and lavender an herbal sweetness. Plus they were freshly baked, soft and bite size. What a wonderful revisit to a great meal! And the boss is Ubuntu (Linux operating system) fan?